After bringing our Medieval History unit to a close, and following our big celebration of Core Knowledge Night, I needed to do something to excite and hold the interest of my students during the remaining four weeks of school. Earlier this year we wrote digital books on StoryBird.com and they had a ball! 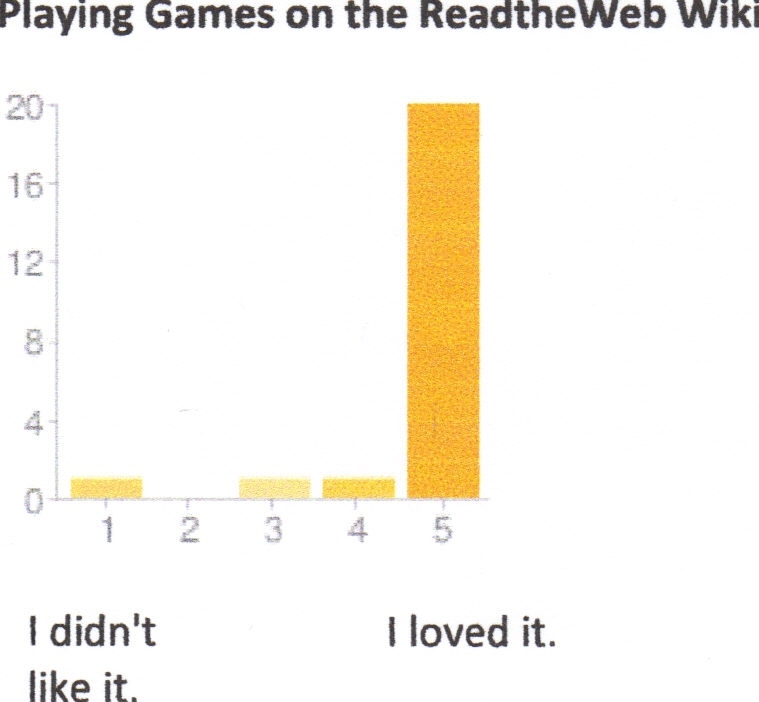 It’s a great website, but I was less than satisfied with the quality of my students’ writing. They loved dragging the photos into place, but their stories seemed to be a matter of drag a picture, write a sentence, drag a picture, write a sentence. I wanted their books to be more story centered, and less illustration centered. After blogging about our experience with Storybird, Blake Williams, one of the co-founders of StoryJumper, contacted me and told me about StoryJumper.com. StoryJumper.com is a creative writing and book publishing website for kids. It allows anyone to create and publish a kid’s book, both online and also in hardcover. 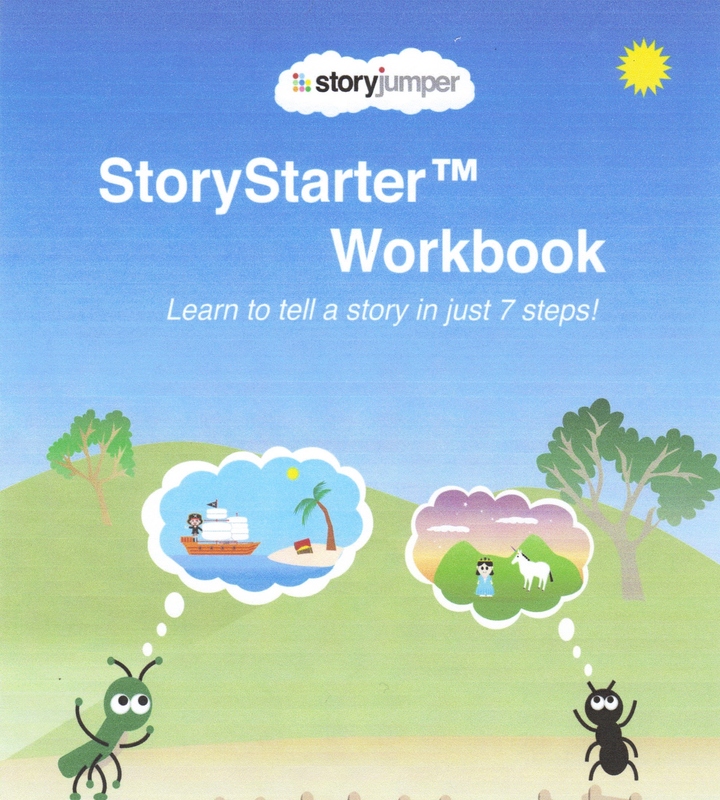 The StoryStarter Workbook can be printed off or downloaded to your computer as a PDF file. One of the things I really like about StoryJumper is that there is a complete downloadable lesson plan for 7 step story creation. This first time, I stuck pretty close to the lesson plan. There were lots of chuckles from the class as I revealed the lists of possibilities for character building, setting, and plot structure ideas. I can see lots of opportunities to use this 7 step plan with the class. After they have learned how it works, we could build on the original plan and brainstorm possibilities of our own to get everyone thinking. I also like the prewriting that is involved with this website, before we ever get to the computers. 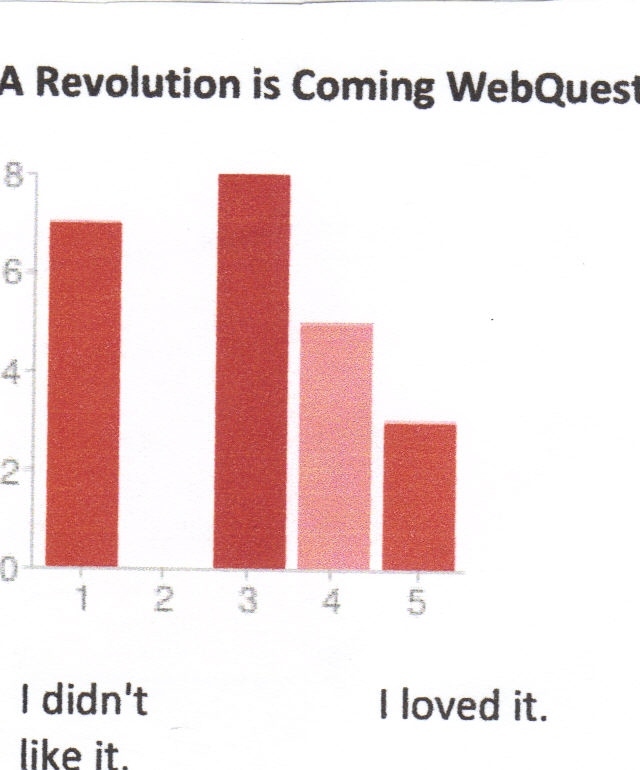 This seems to work better with my class, not only because the quality of their writing is improved, but we also have only nine computers to work with. This way I can rotate my authors through the computer centers, while others are still working on their first drafts at their desks. StoryJumper lets you set up an on-line class and assigns screen names to the students, which adds to security. 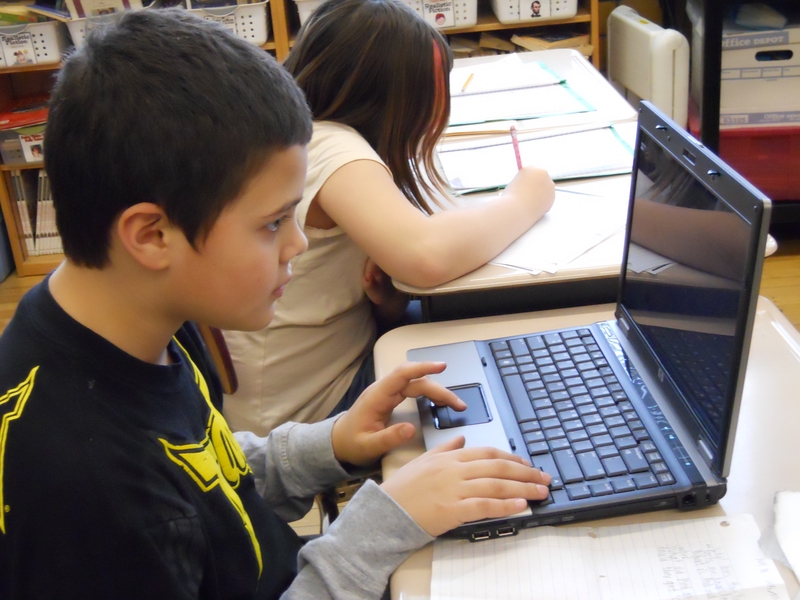 The teacher can decide whether to permit home access to the stories. If you choose home access, you can print off a note to go home with each student, that provides information about accessing the website, as well as a password for the child to use from home. All the teacher has to do is print off these notes. It is already done for you. To me, that is a really big plus. After we had our writing under way, the website also provides step-by-step directions on how to build their story on the website. There is a video available, but we had trouble getting that to work. This may be due to the weak wireless internet in our building. Our wireless internet was down on Thursday, and we struggled with it again on Friday. Once the students are working on line, they select backgrounds, props, and use text boxes to add in their writing. They can resize, rotate or flip scenes, props, and text boxes. 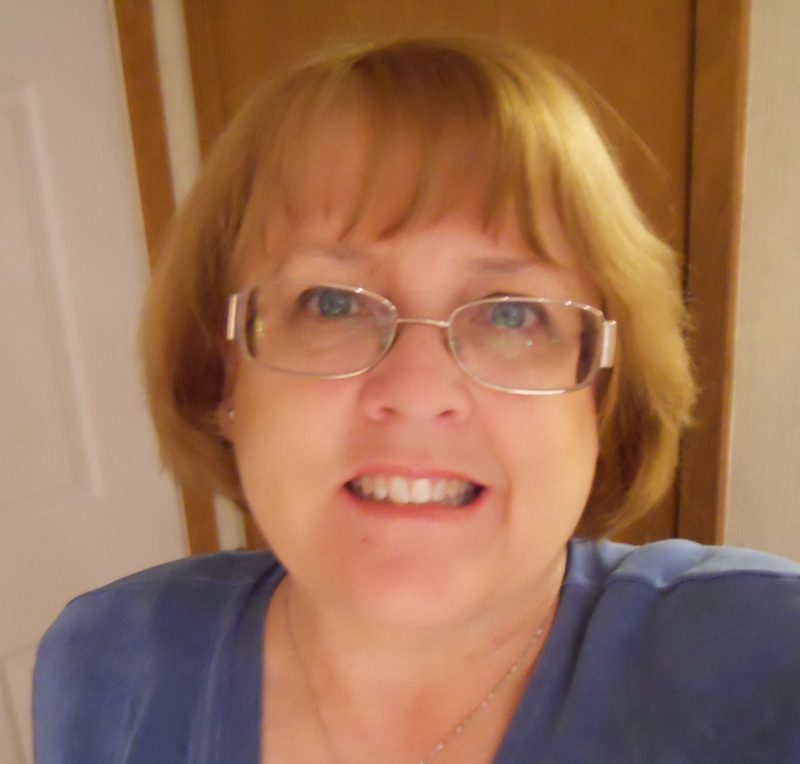 They create a cover, dedication page, and can easily add and move between pages. Your own photos can be uploaded and used as scenes or props. We aren’t doing this at this time, but that opens up a lot of possibilities for future projects. 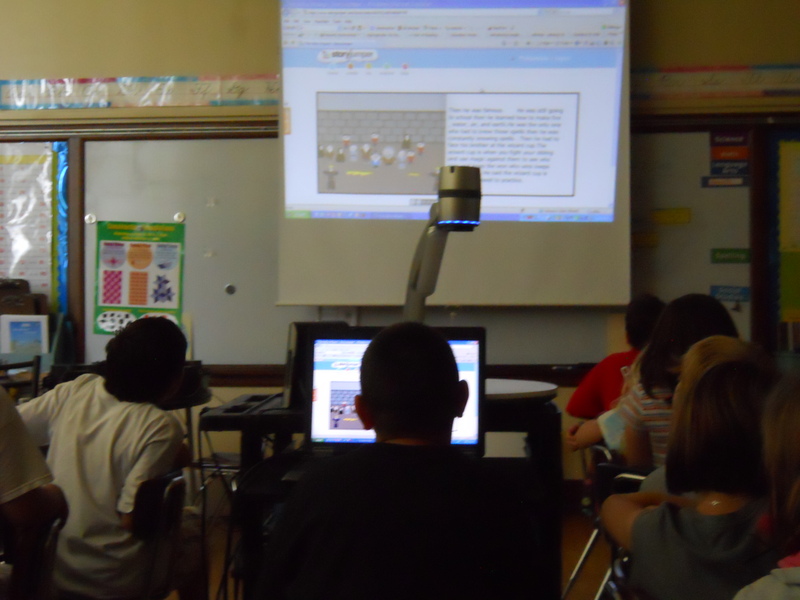 We are now six and a half days away from the end of the school year, and my class is totally engaged in this project. I think that’s saying a lot. Most of the problems we’ve encountered are due to the limitations of our aging equipment. We’ve had some problems with writing showing up in places we didn’t want it, but kids are helping kids, and the project is going well. I’m hoping we will have most of the story creation finished by the end of this week. I want each child to have time to present their StoryJumper book to the class during that last two and a half days of school. Once the project is done you can decide who to share the book with. It can be kept private, shared with friends and family, or submitted to be included in the StoryJumper public library. For a reasonable fee, you or parents can also choose to have a hardcover book published. This is a great website for the upper elementary student!